This model is 173 cm and wears a size S/P. Their chest measures 79 cm and the waist 68 cm. From morning runs to late-night lifting, you put in the utmost effort. 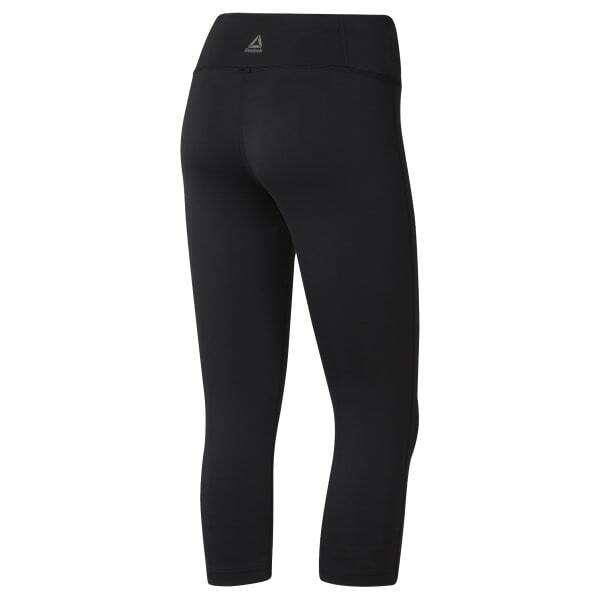 These versatile workout capris come with key details to keep you comfortable. Speedwick tech manages moisture so you can stay dry and comfortable during your studio sessions or interval training, while the wide waistband with a back panel means you don't have to worry about chafing. The soft polyester fabric is comfortable for all-way wear, and the added spandex gives you just enough stretch.